Stumbled across this site recently. Argh. 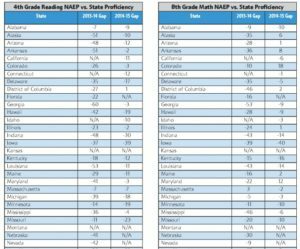 So the “Honesty Gap” argument falls apart before it begins: you can’t compare “proficiency rates” between the NAEP test and state tests, because the term “proficient” is defined very differently. I’ve seen this same argument on other sites (often promoting charter schools) and it’s just wrong wrong wrong. 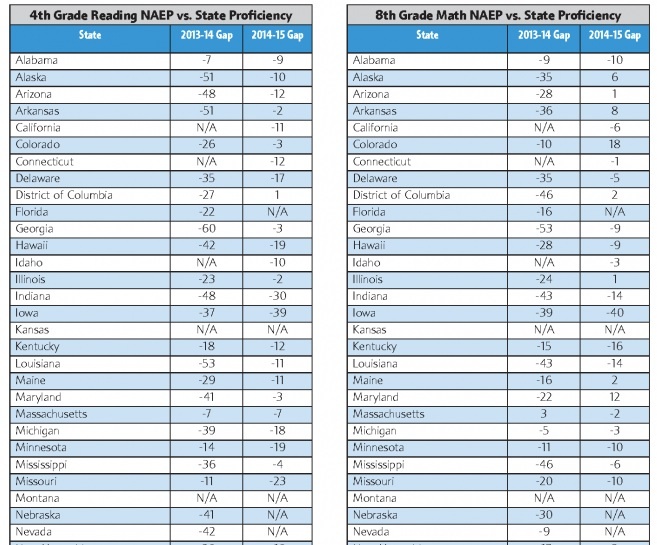 The only Honesty Gap the site argues for is their own dishonest use of NAEP data. Knock it off, please.